Awesome map for Minecraft Pocket Edition 0.15.0 where you will find one of the great houses from the "Game of Thrones - Winterfell" novel. Map design was made as accurately as possible and you will see a lot of familiar places if you read the book or watched TV series. 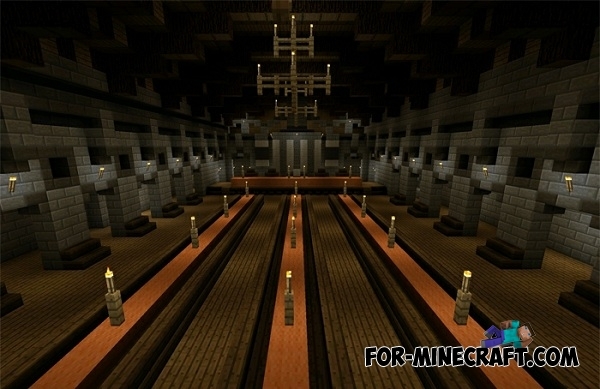 Winterfell Map for Minecraft PE 0.11.1You can explore every corner of this wonderful castle Winterfell, which was built on the basis of the series and books.